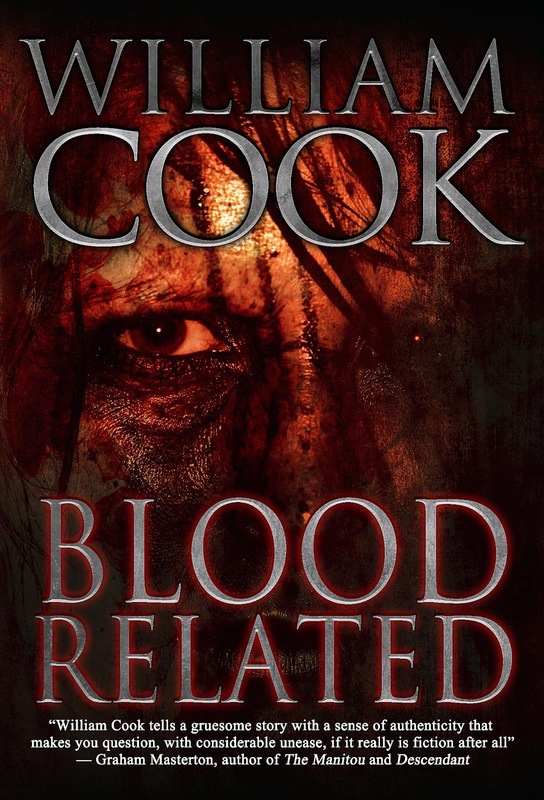 This edition of My Interview With... is with horror author, William Cook. 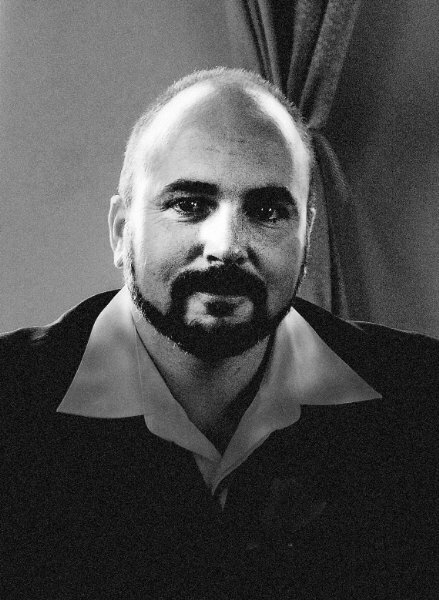 Author of the horror novel, Blood Related, and of numerous short stories and poems, William has also published two non-fiction book. Below is William's bio and interview. I was about twelve years old when I wrote a ‘wish-list’ of future careers in the back of my school note-book. At the top of my list was ‘best-selling author.’ So far, yet to reach best-selling status for longer than a couple of days but working on it. Not sure really – I try not to constantly compare or compete with other authors in my genre/s. I try and do the best I can within the genre I’m writing in and hope to distinguish myself with quality works, which are edited and formatted professionally, read well and that keep my readers coming back for more. As mentioned above, I write in a few different genres. I basically write what I’d like to read myself. I have particular interests in horror, noir, poetry and non-fiction (i.e. entrepreneurial, literary analysis). I’m particularly enjoying writing non-fiction as there is no limit to what an author can write about and it provides me with plenty of inspiration for my fictional work. Sounds corny but I guess that my genre/s chose me. Slightly erratic as I usually have two or three things going on at once. I find I work best in the morning after my breakfast coffee, usually with instrumental music on quietly in the background. I try and select music of the type that invokes a similar emotion or atmosphere to what I’m trying to capture on the page. How much research do you do before and during a writing project? I usually brainstorm ideas around a central theme or basic plot-line before writing an outline. For me, the outline is important whether a short story or a longer work. If the story involves chapters, I outline each chapter with plot summary and character action and basic dialogue (if any). Either bullet points or rough sentences seem to work well when I go back and put together the first draft. I prefer to plan an outline most times but find that some of my best work just happens in a sort-of organic sense – no planning, or plotting – just writing. Spending time with my family and friends mainly. I’m looking forward to summer as I would like to spend more time fishing and hiking. Quiet often, usually the same loyal ones who like what I do. I get a real kick out of hearing from my readers and quite often run new stories past them before I publish to get feedback. The most common positive thing I hear about my writing is that it has a ‘poetic’ quality, which is unintended but nice to hear about via my readers. Probably the most important thing to me is that people who read my work enjoy it, or that it entertains them and transports them imaginatively. Without the readers, my writing would be of no consequence. 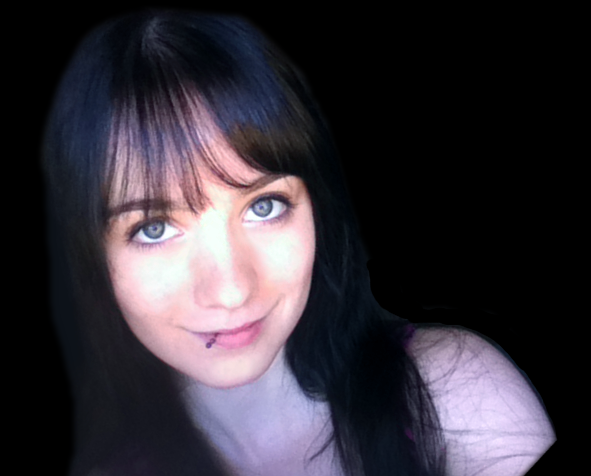 The 'My Interview With...' series continues with an indie author I've been following for quite a few years and who has taken her own twist on the vampire myth first to novels, then independent-made films and now to comic books, Lia Scott Price. Below is Lia's bio and our interview. I have an overactive imagination and I had to put that into words, and start creating my own world. An escape from reality kind of. I started out by writing novels, and then film, and then moved on to comic books. I wanted to test every medium to see if I could bring my "worlds" to life. I try to create new twists. Not the same vampires. I try to find something completely new and different and something that's hopefully not seen before instead of doing "remakes". Horror is so versatile. I can create new monsters or dabble in creature design. Creating disturbing worlds is stress relief. I can face my fears and have fun at it. I work an 8 hour full time job during the day, so I have evenings and weekends to work on my comic books. Since I work close to home, I start my next "shift" after dinner, from around 7pm to 10pm on week nights, and 6am to midnight on weekends. I'm an organizing/scheduling freak so I know exactly what I need to do during my schedule. I plan things ahead, often a full year in advance . I have excel files for my excel files and planners for my planners. A lot. Mostly online. When I was writing novels I used to travel to places I would use, such as Brooklyn New York. But now I can find info I need online. I usually spend a few hours a week researching as I write. A lot of research is devoted to publishing, finding comic cons, printers etc. Mostly business stuff, in addition to the creative. It helps me be more realistic. Anime, horror movies, comic books, pretty much anything that catches my interest. If something I read, doesn't matter what it is, starts up my imagination, that's my influence. Also, real life. If I'm going through something, it'll sometimes end up on paper. What other authors do you read? I find inspiration in books that have nothing to do with horror actually. I love reading medieval history, online newspapers, watching documentaries. Sometimes influences come from the most unexpected places. Play with my cat. Then again, when am I not writing? There is really no downtime for me. I'm a type A personality. I always have to be working. My mind never stops. Except when I'm watching silly cat videos. I hear a lot from my readers who are very supportive and fantastic. They are also who keep me going. They also compliment the artists for my comic books as well since they do a great job! I'm always grateful for the positive feedback and support! Thank you to my fans! As the popularity of My Interview With... is increasing I have decided that I'm going to have to also increase the regularity of interviews. So here's another interview for the month of June, this time with the new Sci-Fi and Fantasy author, Jenna Whittaker. 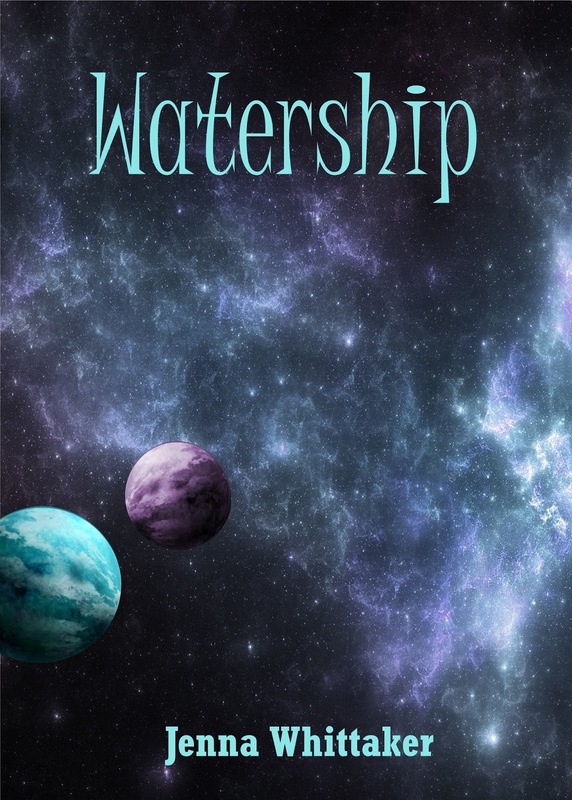 So far she has self-published two novels, Dreamscape, and Watership, and at the moment she is working on two more. Really, I’ve been writing all my life. I never completed a novel—just a few short stories—and it took until about 2014, when I was 19, to finish my first! I had worked on a 2nd in the meantime, so published them both together in early 2016. I currently have 2 WIP novels—one a dystopian post-apocalyptic novel with the first draft completed that I am beginning editing this month, and the second a fantasy (kind of sequel to my first published novel, Dreamscape) that I am days away from finishing the first draft! I like to try to not only avoid the clichés (if it’s boring to write, it’ll be boring to read!) and instead turn them on their head. I like to put a unique twist on ideas, most of which come from an amalgamation of snippets of overheard conversation, movie quotes, and my dreams. I’ve always written fantasy, but most recently started to venture into post-apocalyptic/dystopian/sci fi, and may even do steampunk (some of my books have steampunk aspects, but not enough to put in that genre) in the future. I find my ideas are much more creative when not restricted to dragons and magic, and instead exploring whatever genre fits the story! I usually work during the day and do my writing—about 500-800 words, or editing a chapter or two—in the evening, before dinner. On the weekends I like to get my writing out of the way first! A LOT, like I imagine most writers do. I don’t do fully in-depth world-building unless the novel calls for it, but I do double-check that my assumptions (regarding travel, cultures of that time period, what would or could be scientifically possible) are grounded in some sort of reality. With the fantasy and sci fi genres, though, reality can be stretched. Hmm…I put on music, sit down, and write! My stories start from, as I said, snippets of conversation and scenes or lines from a dream. I write them all down in a document on my computer, and when I’m inspired and have an idea what to do with them, I start developing the book! I start from those ideas and then jump in to conversations between characters that lead to—and show me—the story. 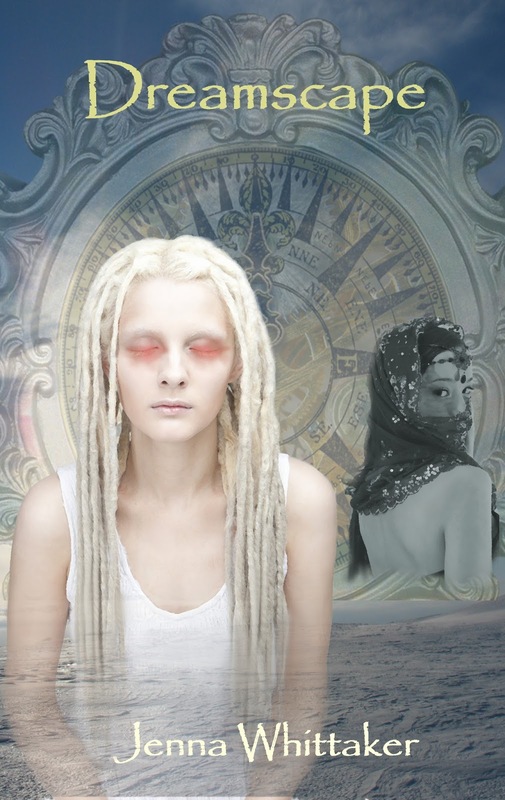 My books are primarily character-driven, but those characters are put in some awful and otherworldly situations. Pretty much every fantasy author ever. I read a lot of them as a kid, and while I don’t have much time for reading now—as much as I’d like, anyway—I still do enjoy fantasy/sci fi/steampunk etc. Too many authors to name individually. I’m an artist! I draw and paint—for myself, for art galleries/shows, for friends, for concept/UI artwork for games, and commissions for pets and portraits. I love doing artwork every day as well. I haven’t heard much, yet. I have a few reviews, though, and it seems people really enjoy my work! I do need to work on my pacing, unfortunately this has been a common theme. I tend to rush a little through the story, mostly because I’m excited to tell it! Each book gets better and better as I do them, though. Practice makes perfect!